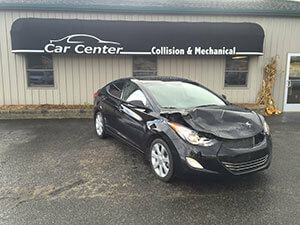 Quality Collision Repair Work–Look Like New! A car accident is never easy to deal with. Whether you are involved in a collision or are the victim of a hit a run the Car Center in Cedar Springs, MI will get you safely back on the road, as soon as possible. 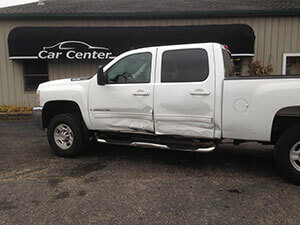 From minor and major dent repair to more serious collision repair, we have you covered. 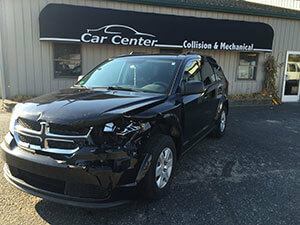 As an I-CAR Certified auto body shop, we make sure all repairs are done correctly the first time. We will restore your vehicle to pre crash condition and make sure the process is as smooth as possible. Insurance agencies often have their own recommendations about where you should take your car. Be aware, you are free to have the auto body shop of your choosing complete the work necessary to get your car back on the road. There is even the possibility that your agency will file your car as a total loss. It is possible your vehicle is capable of repair but the cost of the repair is greater than the car is worth. Have your car brought into our auto body shop and let our Master ASE certified technicians take a look and see what they can do to help out. 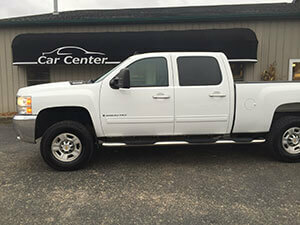 We work on all makes and models, foreign and domestic. Our mechanics are armed with all the latest tools and diagnostic equipment available. 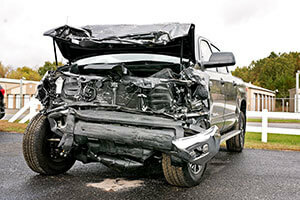 Being the best auto body shop in the area, our collision repair specialists are prepared to handle any collision repair life may throw in your way. 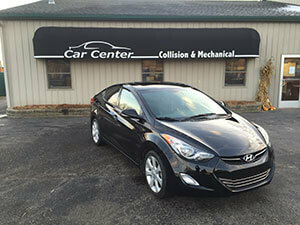 Why choose us for your Collision Repair? There are many auto body shops in the Cedar Springs area, but none that will give you the personalized attention you and your vehicle deserve. Car Center offers the option to receive emails and texts with diagnostic reports and pictures of the damage done to your vehicle. Our ASE Certified mechanics will use this system to keep you up to date on what is going on with your vehicle. They will advise you of any delays and give you the opportunity to ask questions. Do not get left in the dark when it comes to your collision repair. 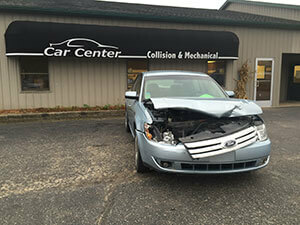 Car Center in Cedar Springs, MI wants to be your auto body repair shop. 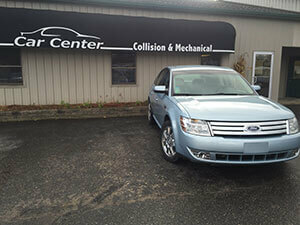 For dealership quality repairs, we are the shop to choose. For your convenience we offer a free local shuttle service and loaner cars are available upon request. 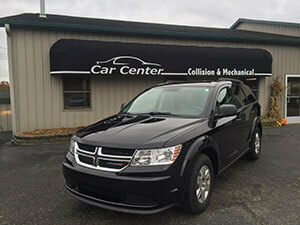 A lifetime warranty on collision repairs is provided and a 12,000 Miles / 12 Month Warranty on Premium Auto Repair Parts. Call (616)-696-1830 or schedule your appointment online today. Don’t forget to check out our specials page for valuable savings on your next visit.